Another mysterious girl with Manny Pacquiao. But she's not Krista Ranillo for sure nor the one with Manny on the car after the Jimmy Kimmel show. These photos were taken months or even years ago that were sent from emails to emails. However, this mysterious girl didn't make any serious controversy as she wasn't a celebrity. 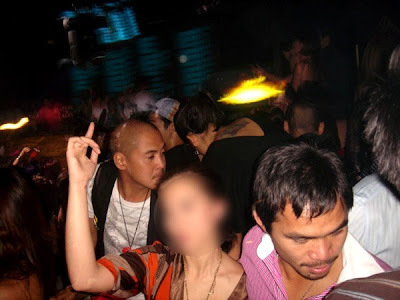 But if you want to know who's the mysterious girl with Manny Pacquiao just for the sake of knowing, better check the inside photos.